Does the legal world excite you? Do you think that you would enjoy a career that involved the legal system and all that it entails? Are you hesitant to pursue this career path because you don’t feel that becoming a lawyer is what will fulfill you professionally? Maybe you should consider pursuing a career path as a legal psychologist; this will allow you to work within the legal industry but not be in the forefront as an attorney. As a legal psychologist you would work with the psychological research of the law, with legal institutions, with empirical research of the law, and with any individual who comes in contact with the law. You will likely be required to take the social and cognitive principles and to apply them to issues that exist within the legal system. For instance, investigations, interviewing, the accurate memory of eyewitnesses, and jury decision making are all aspects of what you may be responsible for on any given day. It is important to note that legal psychology is a fairly new focus area that arose out of the need to differentiate between forensic psychology and the experimental end of legal psychology. In your capacity as a legal psychologist you will likely spend time focusing on academics and research. Your knowledge, skills, and education will make it possible for you to work as a professor within a university’s psychology department, in a law school, or in a criminal justice department. No matter which of these capacities you become employed in, you should expect to be responsible for conducting and publishing empirically based research, to teach various classes related to your area of expertise, and to serve as a mentor to graduate and undergraduate students. Depending upon where you become employed you may also be expected to conduct research in a more general psychological area, such as cognitive psychology, social psychology, or clinical psychology. Should you be required to do this, you can expect to only have a legal psychological aspect mentioned tangentially. It is important to understand that should you work as a legal psychologist in a law school, you will probably be required to hold a JD (Juris doctorate) in addition to a PhD. 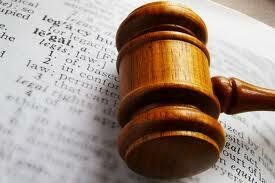 As a legal psychologist you may also work as an expert witness within courtroom proceedings. You may find yourself testifying regarding cases of mistaken identity, about eyewitness memory, about perceptual issues, or about a person’s ability and competence to stand trial, among other things. Keep in mind, depending upon the capacity in which you testify in court proceedings you may be accused of being hired strictly to voice your opinion, which could be thought to be paid for. It would also be possible for you to work at public policy center in order to influence legislation and legislative policies. You may also be expected to evaluate some state or national lawmaking policies through empirically based research; you could also evaluate new legal practices or recommend laws that would be appropriate or useful. Your background would also make you able to seek employment as a trial consultant; although an advanced degree is not a requirement for this position, it will greatly help your chances of gaining fulfilling employment. It is common and feasible for you to work within the academic aspect of legal psychology and to also work as a trial consultant. Often, you may be called to testify as a trial consultant in a specific case that applies to your area of expertise. As a trial consultant you may also be expected to help with jury selection or to perform mock trials with focus groups.